These durable clear plastic dome umbrellas offer complete coverage against the rain and wind! Show off your style on the city streets. The clear bubble umbrella color lets you see and be seen and also protects you from the rain. Closes to 32" in Length. 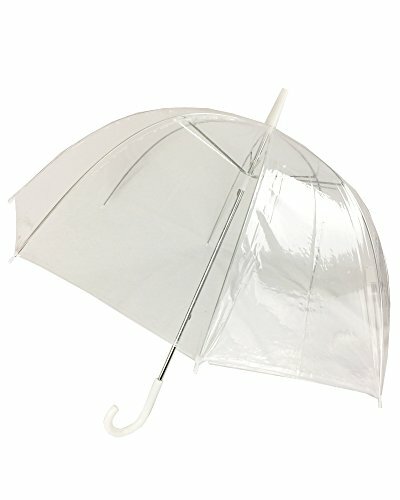 46" PVC Clear Dome Shape Umbrella. Closes to 32" in Length. If you have any questions about this product by Sara Rain, contact us by completing and submitting the form below. If you are looking for a specif part number, please include it with your message.